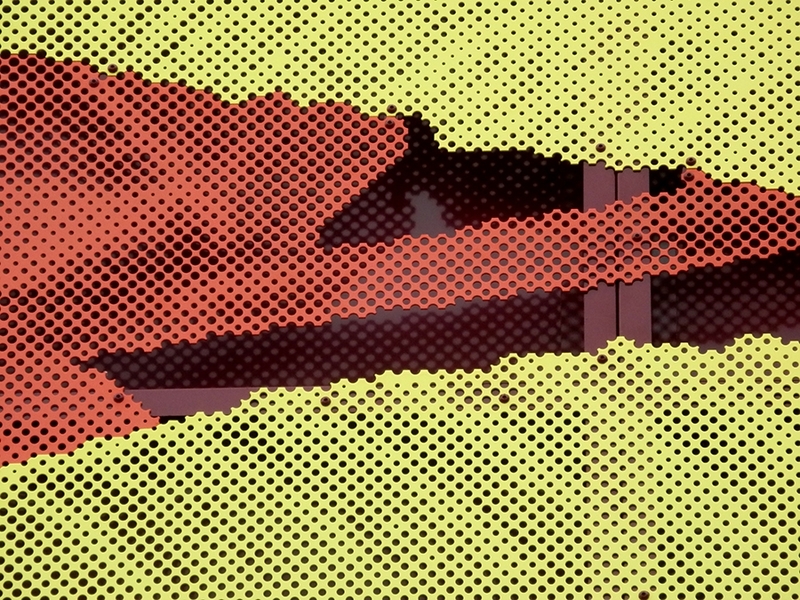 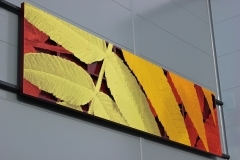 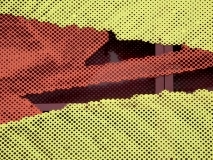 An autumnal frond of leaves greatly enlarged and punched in powder coated steel. 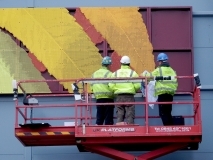 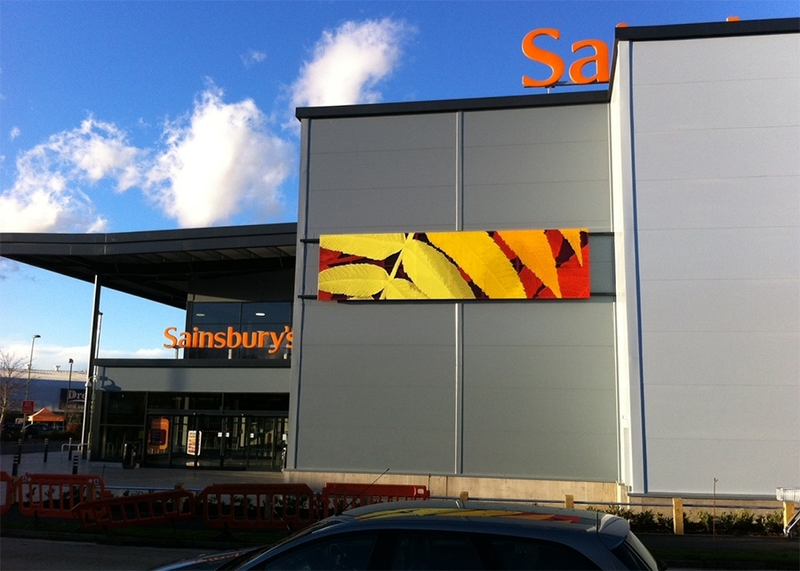 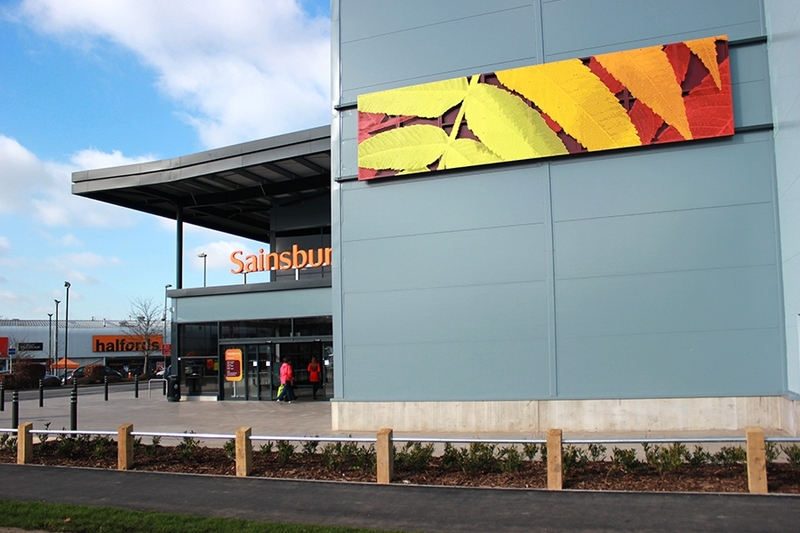 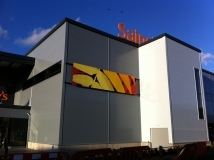 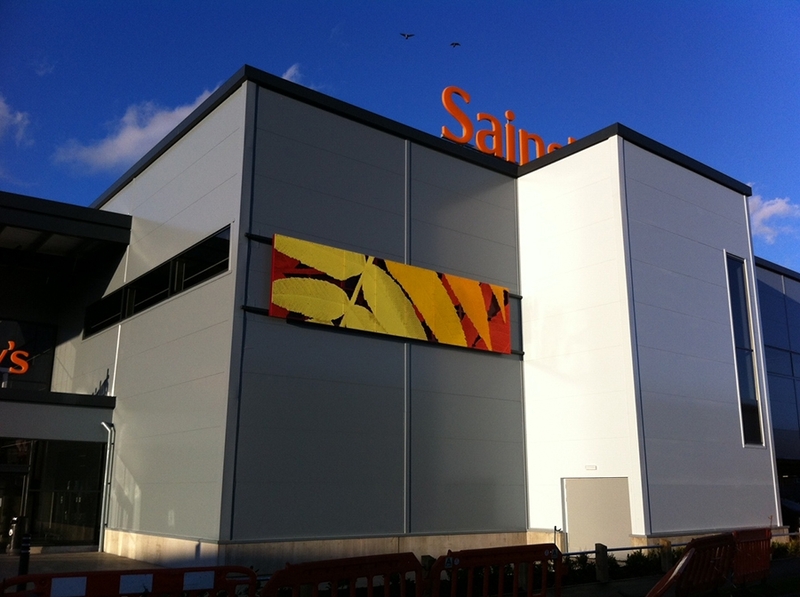 Commissioned by Sainsburys for a new store in Waterlooville, Hampshire. 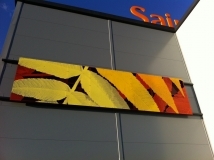 Managed by RG Group. 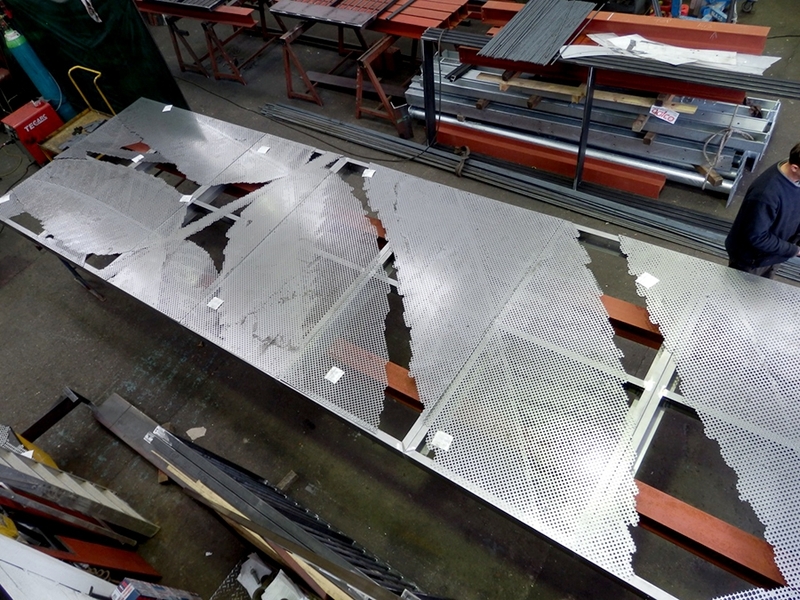 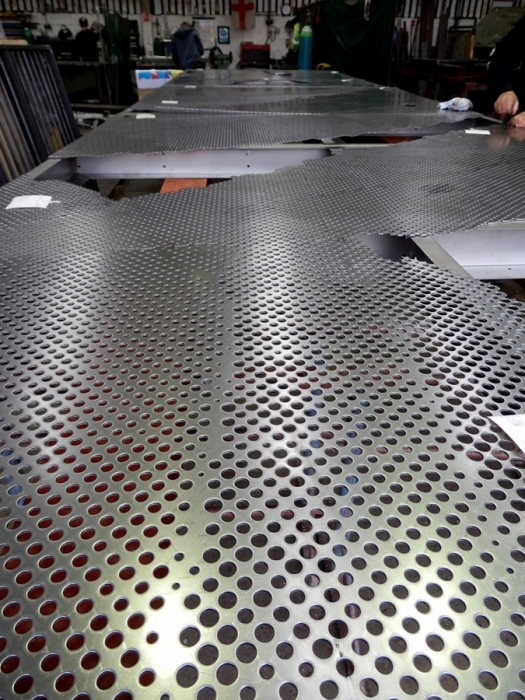 8mx2mx0.2m punched steel, galvanized and powder coated.